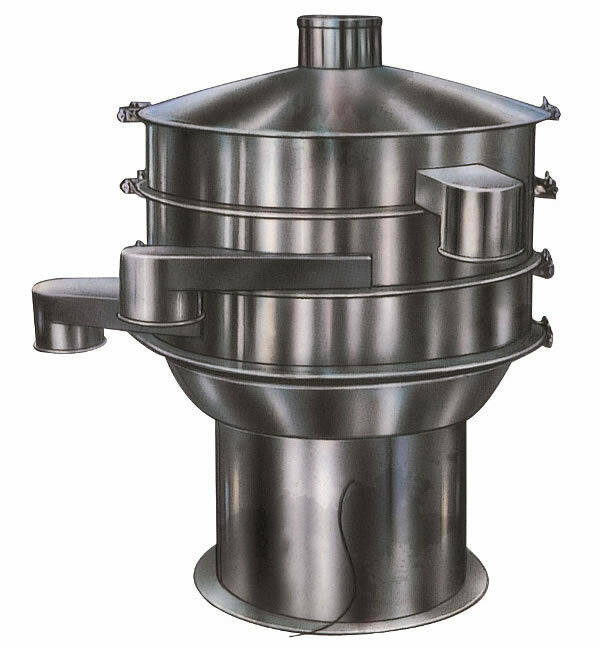 The circular vibrating sieve is an ideal machine for the production line, so it is widely used in the pharmaceutical, chemical, and foodstuff industries for separating different sized granules with a multilayer screen mesh through the use of vibration. 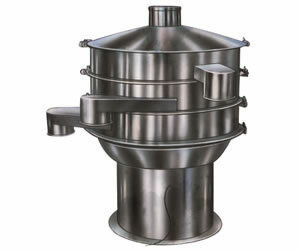 The circle vibrating sieve uses a shaft coupling and motor. The vibrating chamber consists of an eccentric wheel, rubber cushion, main shaft, and bearing, etc. The adjustable eccentric heavy punch driven by the motor produces centrifugal force to make raw materials move in vortex movement in the vibrating sieve. The vibration amplitude of the heavy punch can be adjusted according to the raw material type and sieve size. The whole structure of the circular vibrating sieve is compact, causes no dust, has low noise, low energy consumption, and is convenient for moving and maintenance. We are a professional circle vibrate sieve manufacturer in China. In addition, we offer a fluidized bed drying machine, food flavor granulating drying machine, universal grinding machine, and slot mixer, among others.